"Aistiessamme maailman kauneuden tuntuu luonnolliselta elää tasapainossa universumin kanssa ja nauttia molemminpuolisesta tyydyttävästä suhteesta, kuin emo ja varsa." Description: "If we can learn how to relax, before our minds become agitated and our perceptions bombarded and overwhelmed, we can bring out the hidden qualities of our senses and appreciate their nuances and textures. If we cultivate our own inner treasures, they will reward us with bliss, joy, and happiness beyond our fondest imaginings." Description: A holistic healing system that traces to 8th century Tibetan texts, Kum Nye (Tibetan Yoga) aims to free the flow of the body's energy to achieve optimum health and vitality. Description: Containing 115 exercises & massages and based on a traditional healing system, this yoga helps to relieve stress, transform old patterns and promote balance and health. 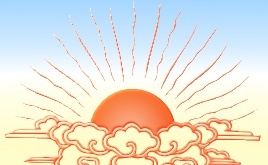 Description: Often called Tibetan Yoga, Kum Nye is a gentle healing system that encourages health and balance. Description: Vol. 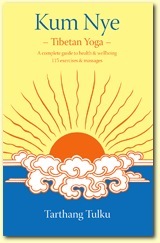 I focuses on breathing, massage techniques, and basic exercises; Vol II includes more advanced exercises.